Grinding Gear Games has announced its action RPG, Path of Exile is coming to PlayStation 4 next month. December was already a big month for the kiwi developer, releasing its 3.5.0 expansion for the PC version on the 7th. It has also confirmed there are plans to launch the expansion for both Xbox One and PlayStation 4 later in the month. Path of Exile released to open-beta in 2013 and has followed a free-to-play model ever since. It then released to Xbox One last year. While the game does utilise microtransactions, they are purely cosmetic – ensuring there's no "pay to win" options available. 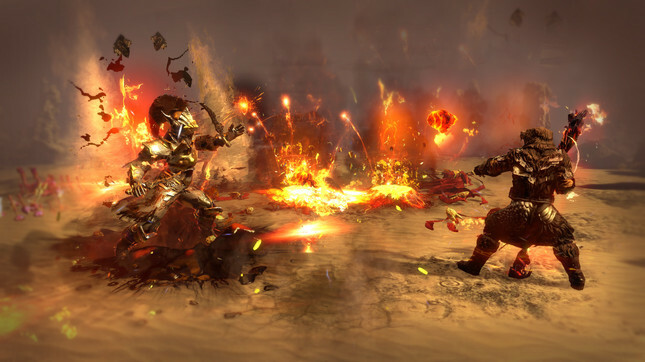 After the backlash towards Blizzard for its reveal of a mobile Diablo game, Grinding Gear might be seeing a number of new players join the Path of Exile community.